You're Reading Happy One-Year Anniversary, Girlfriend! As we celebrate our first birthday on July 13, we want to thank you for taking this wild ride with us. We are so excited for you to see what’s in store for our second year. Here’s just a tiny taste. One of the great privileges of serving as editor of The Girlfriend is the opportunity to read and share pieces from Gen-X women willing to open up about their own struggles with perimenopause, parenting, friendship (why IS it so hard to form and keep a posse as you age??? ), staying relevant, and maintaining a passionate relationship with a long-time partner. 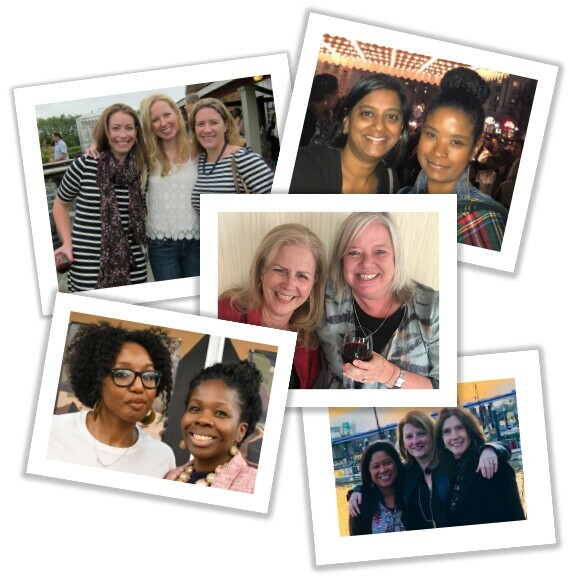 Whether it’s a shoulder to cry on, a laugh over #toomuchwine, or navigating the next phase of your life, you’ve joined the conversation in droves. And we’ve tried to have your back every step of the way. In year one of The Girlfriend, we not only have covered the issues that matter to you, but we also have given away thousands of free books and streamed Facebook Live events so you could meet authors like Kristin Hannah and Allison Pearson. We’ve grown a community of wise and wonderful women some 400,000 strong, many of whom have been willing to reveal the sometimes painful but always inspiring realities of their lives today. Most importantly, you've helped us shine a light on a topic near and dear to our hearts: girlfriend power. Anyone who’s ever borrowed a tampon from a stranger in a women’s bathroom knows the special nature of the female support system. As Jennifer Aniston put it, "there's nothing like a really loyal, dependable, good friend. Nothing." We couldn't agree more. Our girlfriends sustain us during the highs and lows of life. They listen, make us laugh, and hold our hair back when we’ve had too much to drink. Here are a few photos of those of us on the Girlfriend team with our besties. — The exclusive rollout of a hilarious new digital series, "The Other F Word," starting July 19. Here's a sneak peek! — More book giveaways - and maybe some other freebies that we can’t wait to tell you about soon. — More celebrations of friendship — possibly including the chance to win the ultimate girlfriend getaway! After all, everyone needs some uninterrupted time with their bestie. If you haven't already, join the conversation by following us on Twitter, Facebook and Instagram. Keep giving us your feedback at thegirlfriend@aarp.org. Check out some of our favorite stories from the past year (below). Believe me, we couldn't do this without you. After all, everybody needs a Girlfriend.